The medicine of music – NTK.com – Don't believe a word they say! Jan. 24, 2018. The universe is energy, frequency and vibration. We are spirit beings here on Mother Earth and there are certain frequencies that all of creation uses to communicate. 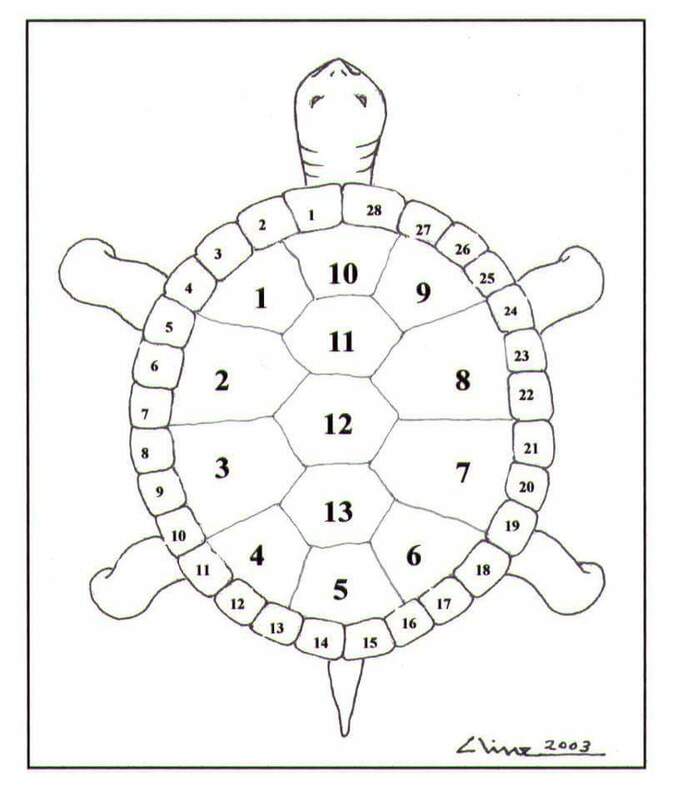 There were 13 frequencies in the original “solfaggio scale” which were encoded in the Book of Numbers of the Old Testament and I leave a link to some work done on this research. These sounds not only assist in communication with the natural world but also are needed to heal. The Greek mathematician Pythagoras invented the 12-note chromatic scale that all Western music is based on today. Taking us off natural sound creates division in our mind so that we can be separated from the oneness. When the A is tuned to 440 Hz all the natural frequencies will be hidden between the notes. It separates us and makes us deaf to the natural sounds that are used for healing and communication with the natural world. All of nature is now suffering from our disconnect, as is apparent when we see what the corporations (artificial entities) are doing to the earth in their rapid quest to turn earthly things into money. If we venture outside around a natural pond at sunset and be still, we can hear the symphony created by the insects, winged ones and the amphibians that are singing on the natural scale. It is the most beautiful music and given nightly for those who choose to listen. The drum connects us to the vibration of Mother earth, when we add our energy and sing the natural frequencies, we become one with the universe. The Schumann resonant frequency has been stable at 7.83 Hz since its inception but has been spiking at 30+ Hz lately. 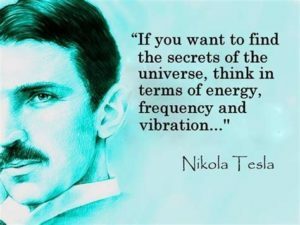 It appears Mother Earth is changing her frequency so we must also tune up to her new note or we will remain out of tune. The proper calendar or natural time has also been altered from 13 moons to 12 months and this combination makes us even more out of sync with the natural world. 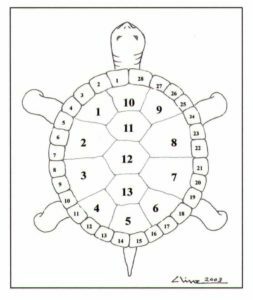 The back of the snapping turtle is the calendar used by the Onkwehonwe people for millennia and has 13 moons with 28 days in each moon. All of nature still follows this cycle but we do not.